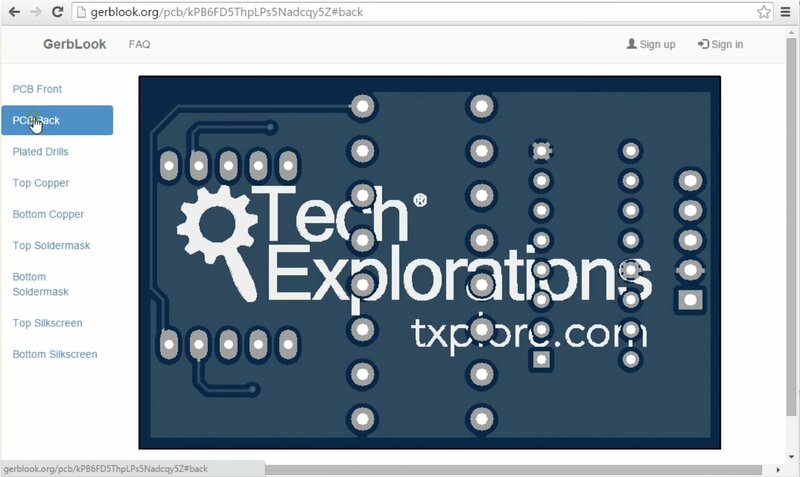 We have our PCB ready to export as Gerber files, and upload to the manufacturer! We’ll work on this in this chapter. Let’s start with the Gerbers. 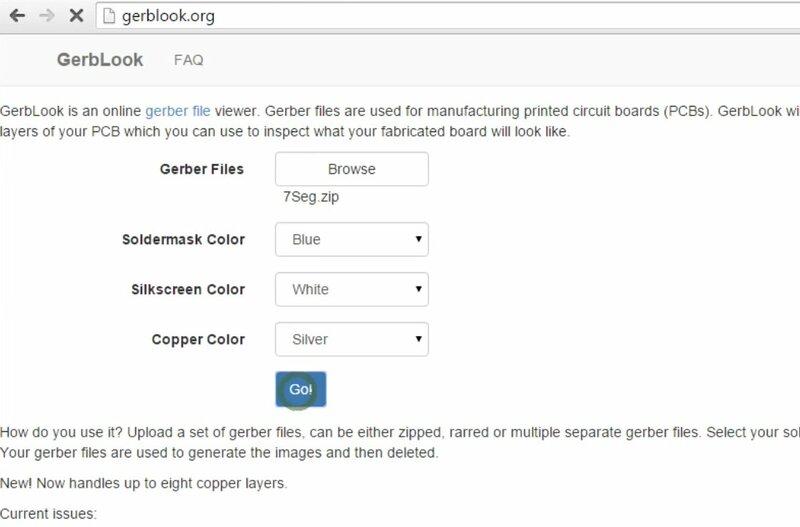 Click on the Plotter icon to start the Gerber export process. In the Plot window, we’ll select the layers that we would like to export as Gerber files, Gerber file type, an output directory, and then we will create the files themselves. The Plot window controls the creation of the Gerber files. The numbers indicate the order of interaction with the window. 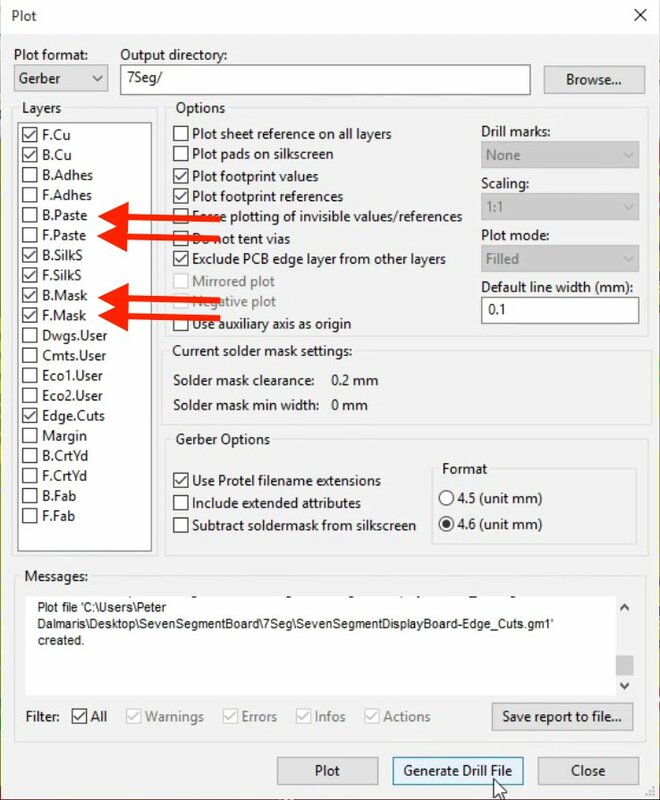 In the Plot window, start by selecting the layers to export. Just like in the first project, we are going to export the F.Cu, B.Cu, B.Paste, F.Paste, B.Silk, F.Silk and the Edge.Cuts layers. As you will see later, one of the required layers is missing, but lets continue with this omission to see what will happen later in the process. In the Gerber Options group, check the “Use Protel filename extensions”, and the select the output directory. Create a new directory so that we can create a ZIP archive from it later. Next, click on the Plot button to have the Gerber files for these layers created. You will see the Messages box populated with the status of the Gerber generation process. The last thing to do here is to create the Drill file, which tells the manufacturer where to drill for pad holes and vias. Click on the Generate Drill File button. All the defaults in the Drill Files Generation window a good. 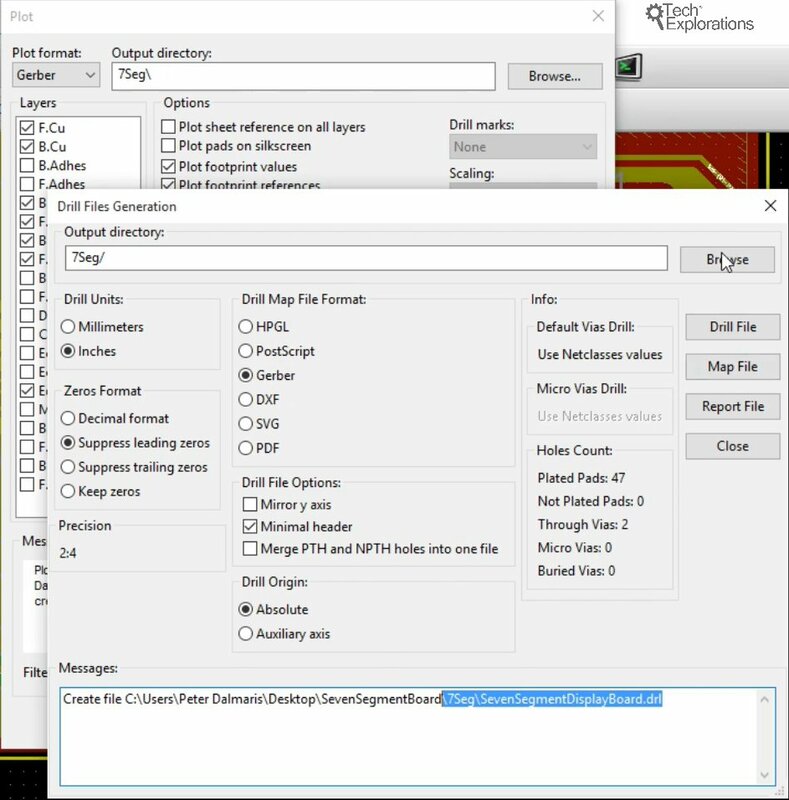 In the Drill Files Generation window simply inspect the settings as the defaults are correct. Click on the Drill File to generate the file, and confirm the operation by looking in the Messages box. The Gerber files are now saved in the Gerber directory, so click on Close to close the Drill Files Generation window, and Close again to dismiss the Plot window. The Gerber files. One for each layers, plus the drill file. The Gerber files ZIP archive. Go to gerblook.org and upload the ZIP archive that contains the Gerber files. Oh no! It seems that we forgot to include a required layer! 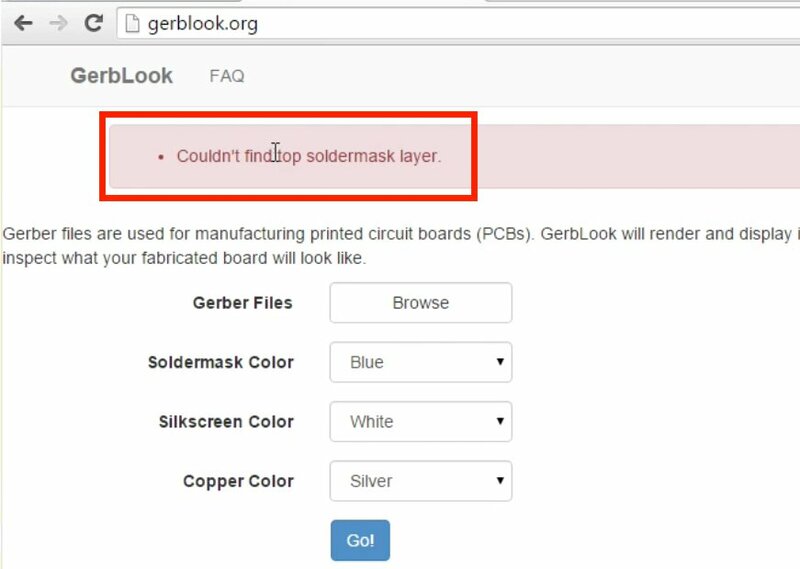 Gerblook detected that a required layer, the solder mask layer, is not included in the ZIP archive. 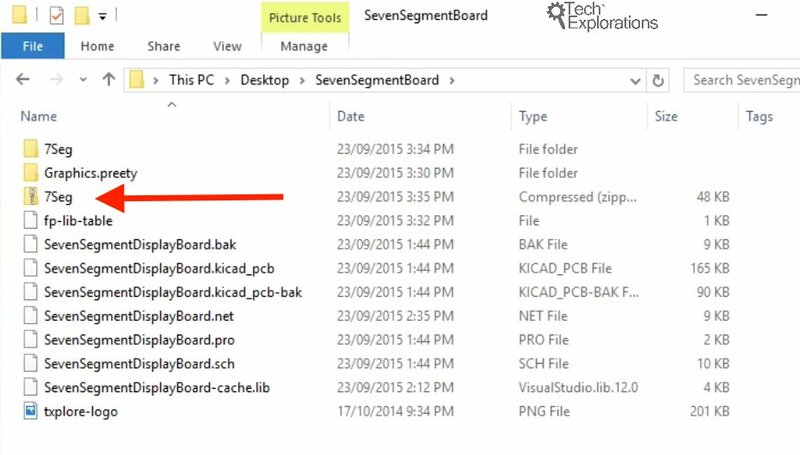 If we had proceeded and uploaded this ZIP archive to a manufacturer, the board would be produced anyway, but with this layer missing the board would be useless. Therefore, it is a good practice to always check your Gerber ZIP archive with a service like Gerblook or similar to make sure that the archive is valid! 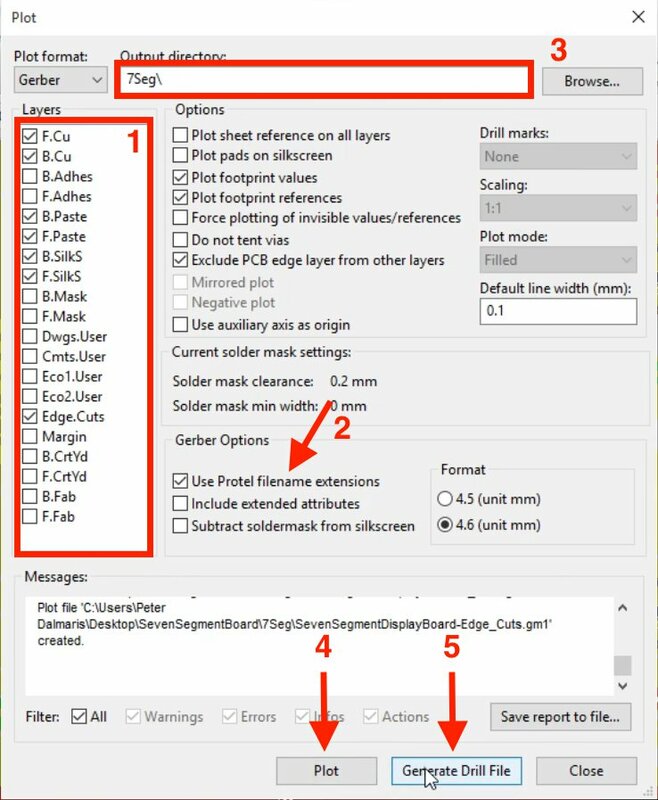 Go back to the Plot window in Pcbnew, and click to select the B.Mask and F.Mask layers. You should un-select the B.Paste and F.Paste layers that I incorrectly selected in my first attempt. 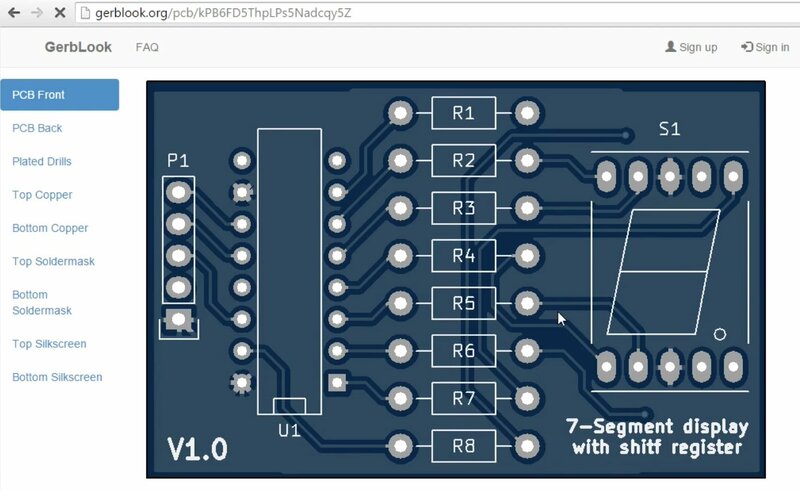 Select the back and front solder mask layers. Unselect the front and back paste layers. Click on the Plot button to create the missing Gerber files, and the Close to dismiss the window. We don’t worry about the Drill file since we generated it earlier. The new Gerber ZIP archive passed the Gerblook test! The back of the PCB on Gerblook. 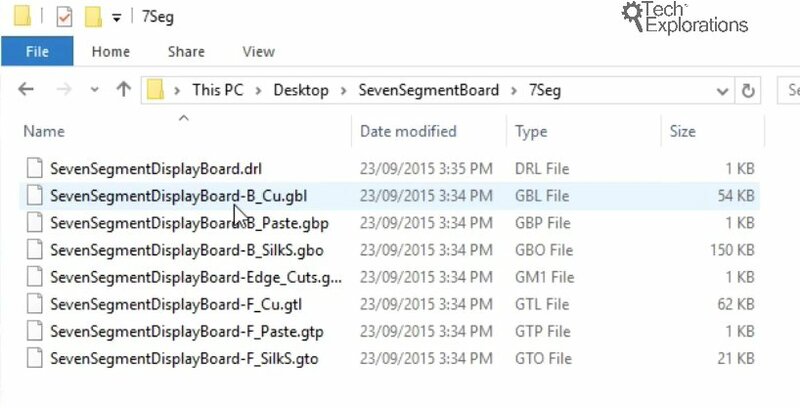 Gerblook reported that the new Gerber ZIP archive is in order. We can now proceed with our order. I got mine from OSH Park, but feel free to choose you own manufacturer. The ZIP archive we have created is a de-facto industry standard and I had no trouble using it with various manufacturers.